Uneetee is a pretty famous t-shirt store but reasonably new I believe. 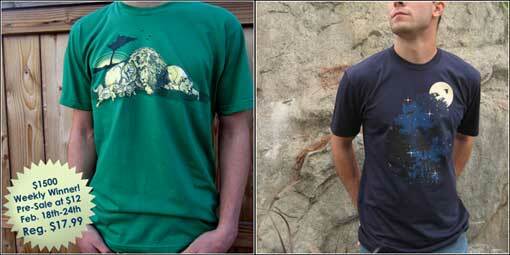 It has a similar business model to Threadless and Design by Humans. People submit designs and they are voted on/chosen and the designer gets money. I will provide details in a later post. Today I ordered two shirts which I will review when I get them. You can check them out below or even better, go to the Uneetee website and pick out a few for yourself. These two t-shirts have an animal jungle theme although you have to look very closely at both of them to appreciate their beauty. The one of the left I purchased for myself and is very cleverly titled Foster Family. The one on the right is called Paradise and you really have to see the design closeup to appreciate it so I recommend going over to Uneetee to check it out. And the sooner the better if you are hoping to get one as they are selling out.